Taco Zone Sentry Zone Valves provide on-off, normally open or normally closed control in both open and closed hydronic systems. Simple to install and operate, the valve can be installed in any direction, in any orientation. On-off, normally open or normally closed control in open and closed hydronic systems. 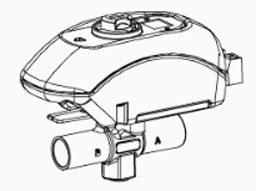 Simple to install and operate, the valve can be installed in any direction, in any orientation. Snap-in quick connects make for a simple and secure wiring hook-up. LED shows full functionality of the valve's operation and thermostat status. Uses half the power of the 560 Series Zone Valves. 2-way or 3-way zone valves available.